Malia Obama worked on set of Halle Berry's "Extant"
Last week, rumors began to swirl that President Obama's oldest daughter Malia had traveled to Hollywood to work as a production assistant on CBS's Halle Berry-lead sci-fi series "Extant," and ET got to the bottom of the reports on the red carpet at the show's premiere party at the Los Angeles Science Center. While most of the shows' stars stayed silent, TV vet Camryn Manheim confirmed the story, and had nothing but glowing things to say about the 15-year-old daughter of the president. When asked by ET's Brooke Anderson about Malia working as a PA, the actress said, "I can tell you that's true. I can tell you that she is graceful, and lovely, and just charming and delightful... she's pretty remarkable. I mean, they are a remarkable family." 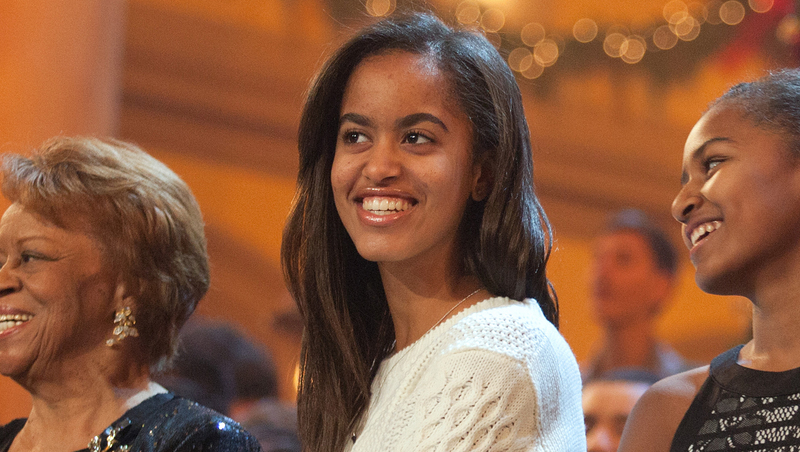 Manheim continued praising Malia, saying that her kindness is even more impressive considering she was raised in the public eye. "When you get hoisted into the spotlight like that, and you grow up under the scrutiny of everybody, and to come out being so charming and in charge of herself, with so much poise, it's beautiful." "Any parent would look at her and be proud," Manheim added. Check out the video for more of Manheim's comments on Malia Obama, and check out the premiere of the new sci-fi thriller "Extant" on July 9 at 9 p.m. ET on CBS.